Thessaly is a region of Greek mainland and it lies in central Greece, which makes it a unique sailing destination, different from the islands which are very popular among tourists. The most impressive site in Thessaly is Meteora, located in the heart of Greece, with huge rocks standing in the middle of a valley and monasteries constructed on top of them. 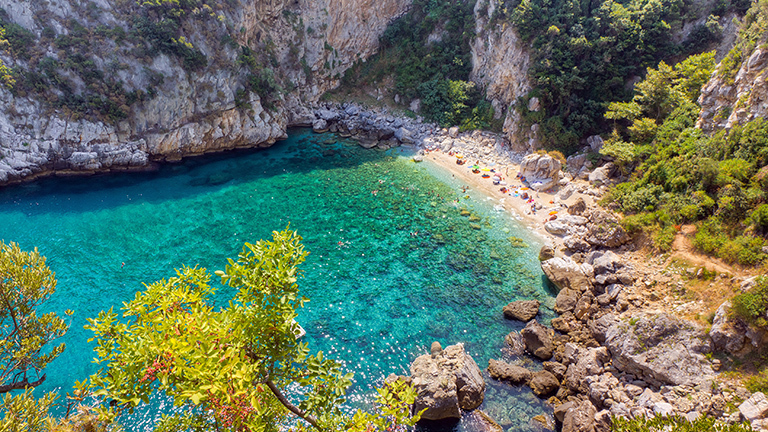 For those looking for a more leisure sailing holiday, the most gorgeous beaches of Thessaly can be found on the eastern side of the Pelion Peninsula, with their exotic blue water and wild nature. Charter your bareboat or skippered sailing yacht in the Gulf of Volos, whose gentle winds and magnificent scenery make for a perfect sailing holiday. From there you can sail to the Sporades, an archipelago on the east coast, consisting of 24 islands, among which Skiathos is the most interesting and worth exploring. Its Lalaria Beach will leave you breathless. 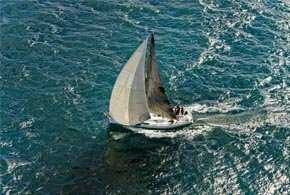 Sailing on a yacht in Thessaly is very relaxing due to gentle winds, so you can cruise all year round, with high season being in July and August. Arrive to Skiathos International Airport and take a short ride to the Skiathos Port. 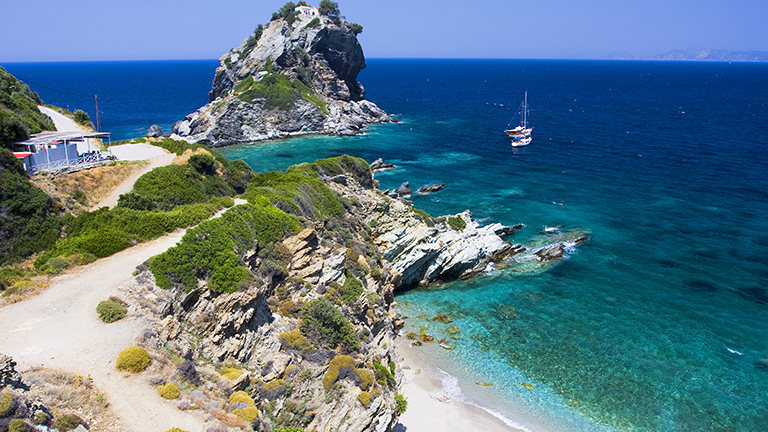 After check-in, embark on your sailing journey with first destination being 15 NM east – the island of Skopelos. 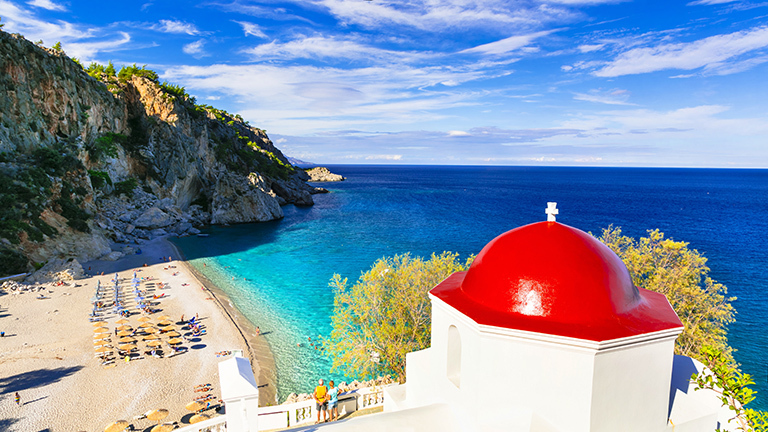 The largest and one of the greenest islands in the Sporades was a filming location of the Mamma Mia! film. Visit the famous Church of Agios Ioannis Kastri where some scenes were shot. Monasteries offer magnificent views of the surrounding areas. 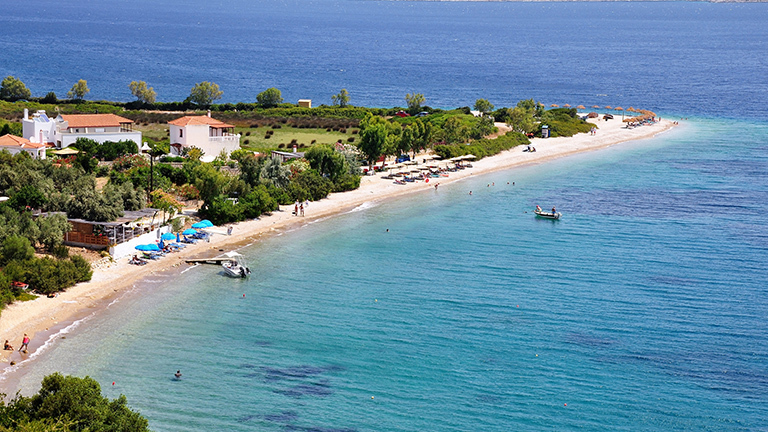 Milia and Panormos pebbled sun-drenched beaches are perfect for basking and for swimming in crystal-clear sea. You can also find a remote beach for more peaceful relaxation. While sailing around the island, you may see the Mediterranean monk seal, since Skopelos is one of the prime breeding areas of the mammal. Make sure to try local food: olives and olive oil, feta cheese, cheese pie, honey and prunes. 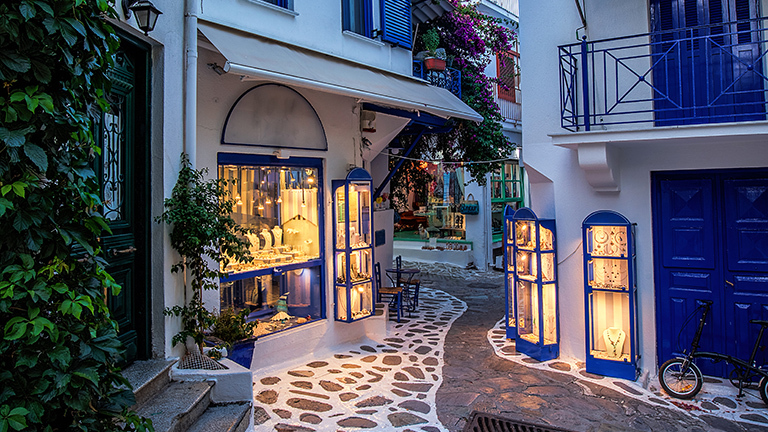 Skopelos Town is the main nightlife spot on the island with plenty of bars and restaurants. 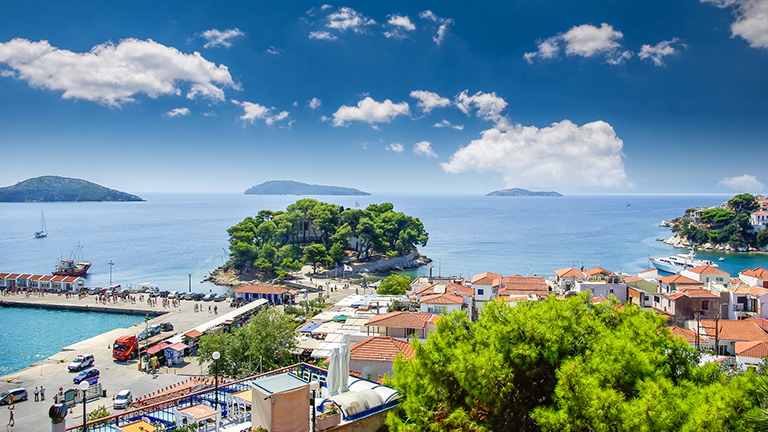 Sail 7 NM to the east-northeast and you will reach the island of Alonissos. The island's Marine Park is the largest marine protected area in Europe, thus offering clean sea and peaceful atmosphere. Moor in the main picturesque port Patitiri. Visit Chora or the Main Village on top of the hill and walk its narrow paved streets. Go to the medieval castle that grants beautiful views to the sea, especially during sunset. Visit the Historical and Folklore Museum that holds a great deal of historical and cultural information about the island. The most beautiful beach is Agios Demetrius with white sand. Other pristine and peaceful beaches you can lounge on are Megalos Mourtias, Steni Vala, Milia, Marpounta and Spartines. Go canoeing, kayaking or diving. Since the island has its own agriculture, feel free to try local almonds, grapes, figs, olives and wine, as well as cheese and walnut pie. Continue sailing along the island 20 NM to the north-northwest to get to Kyra Panagia, the island that is also a part of Alonissos Marine Park. 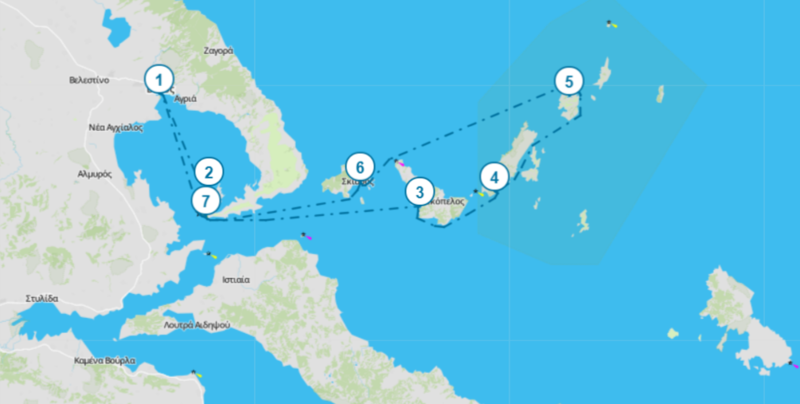 The bay on the north is one of the largest natural harbors in the Mediterranean – you can anchor here and spend the day swimming and sunbathing. Relax on your yacht and on the beach. There are many springs on the island and a renovated monastery originally built in 1100 AD as a protection from pirate attacks; it is currently inhabited by a single monk. Prepare for a long journey across the water to be able to revel in natural beauty of the charming Fakistra Beach, one of the best beaches in Greece. It is located in a rocky bay that is secluded by two rocky capes and dense woods. More scenes from Mamma Mia! film were filmed here. The beach is sandy and the sea is turquoise blue. You can find the remains of an old tower nearby and a beautiful waterfall behind the beach. There are two caves ready to be explored. You can visit nearby towns in the evening. 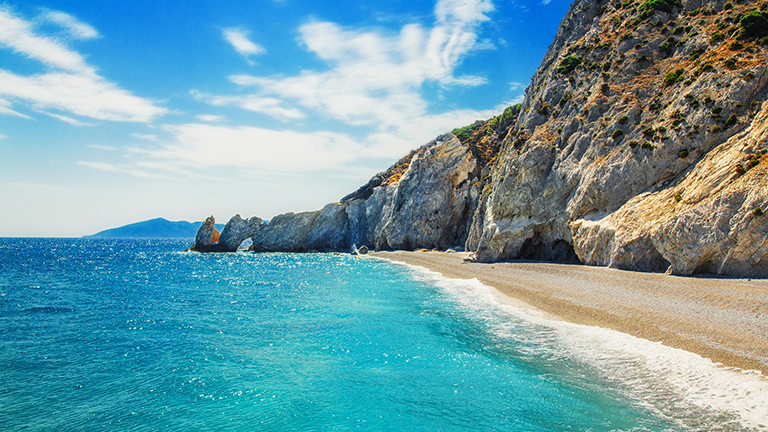 After you sail 19 NM south, you will get back to Skiathos island and set foot on another beautiful crescent-shaped beach – Koukounaries. This popular, golden and well-facilitated beach offers sunbeds, umbrellas and cold drinks in beach bars. You can engage in different kinds of watersports. Waters are shallow, thus being ideal for families. Enjoy the smell of a protected stone pine forest in the background that is home to different bird species. The beach is the most photographed spot on the island, so make sure to take some photos of your holiday. Sail 6 NM along the coast of Skiathos to reach your starting destination – Skiathos Town. It is located in a windless bay, and the tourist-oriented town is divided into two districts by a tiny peninsula with a fortress. Relax on Lalaria Beach that is only accessible by boat and offers stunning views of wild rocks and sea caves. Banana Beach offers naturist spots. There are plenty of other organized sandy beaches equipped with sunbeds and parasols. Take a walk, go scuba diving or opt for horse riding. Waterfront restaurants will amaze you will Greek and traditional cuisine. Youngsters will enjoy in vivid nightlife. Wake up in the morning and have breakfast on the yacht. Soak up the sun and take a dip in the warm sea. Take a stroll around town, engage in a conversation with locals and do some souvenir shopping. Travel safe home. 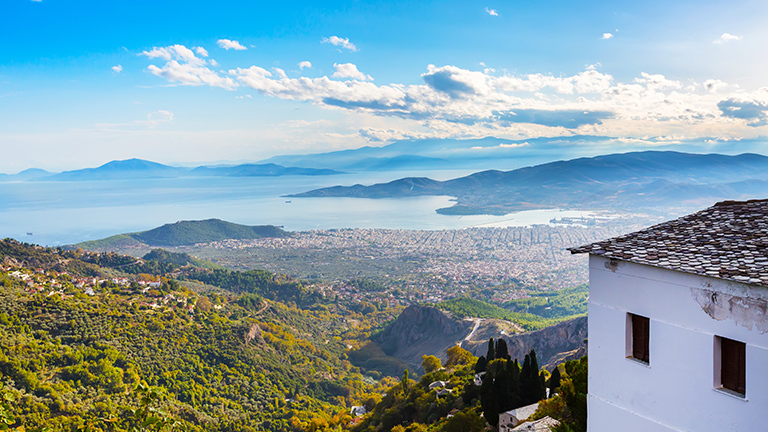 Arrive to Nea Anchialos National Airport and head to Volos, your starting destination of your sailing holiday. 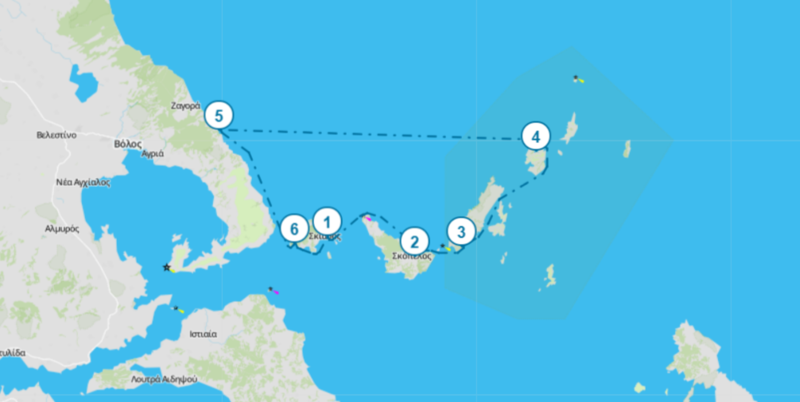 Go through a check-in procedure, board your yacht and sail 15 NM south to reach Paleo Trikeri, a tiny island covered with lush greenery, a few old mansions and churches. There are no roads and cars on the island, so you will have a peaceful time lounging on small beaches, swimming in blue sea, or when walking around. 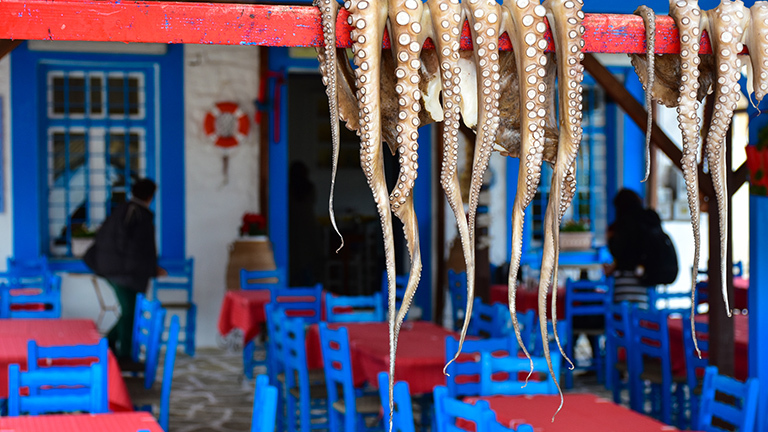 Engage into a conversation with locals in taverns and have a nice Greek meal. A bit longer journey awaits for you to get to Skopelos, the largest and one of the greenest islands in the Sporades that was a filming location of the Mamma Mia! film. Visit the famous Church of Agios Ioannis Kastri where some scenes were shot. Monasteries offer magnificent views of the surrounding areas. 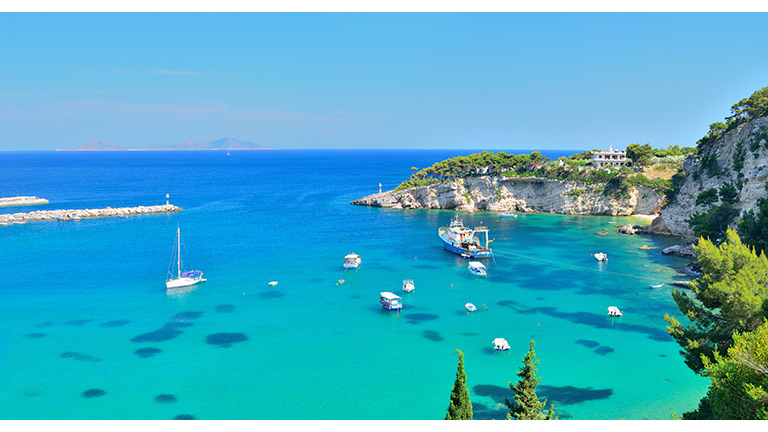 Milia and Panormos pebbled sun-drenched beaches are perfect for basking and for swimming in crystal-clear sea. You can also find a remote beach for more peaceful relaxation. While sailing around the island, you may see the Mediterranean monk seal, since Skopelos is one of the prime breeding areas of the mammal. Make sure to try local food: olives and olive oil, feta cheese, cheese pie, honey and prunes. 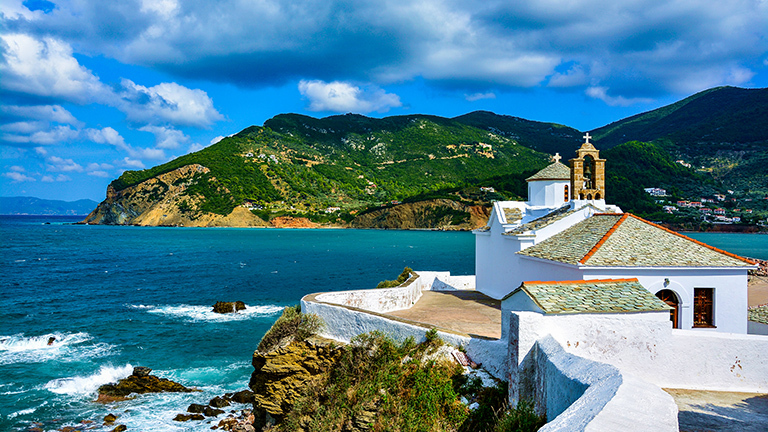 Skopelos Town is the main nightlife spot on the island with plenty of bars and restaurants. 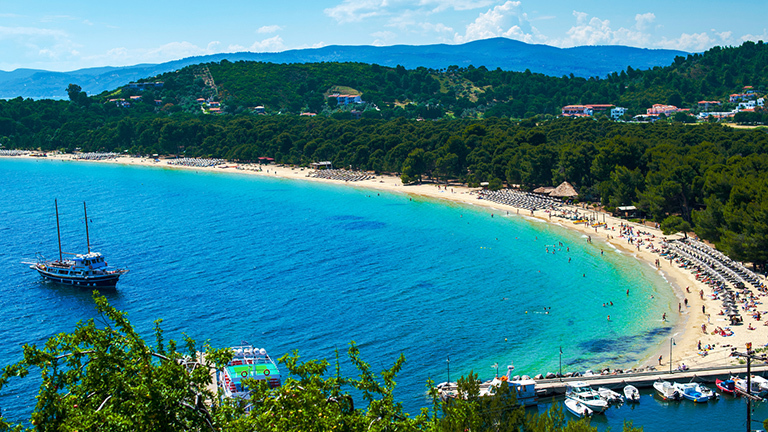 Sail along the coast of Skiathos to reach your destination – Skiathos Town. It is located in a windless bay, and the tourist-oriented town is divided into two districts by a tiny peninsula with a fortress. Relax on Lalaria Beach that is only accessible by boat and offers stunning views of wild rocks and sea caves. Banana Beach offers naturist spots. 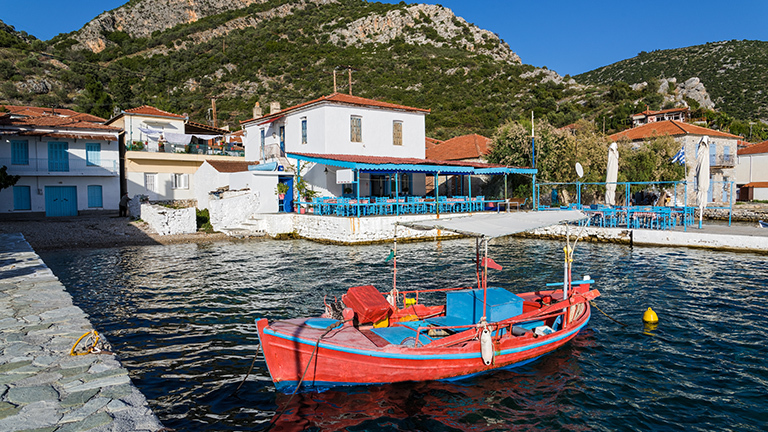 Raise your sails and head to Agia Kyriaki that is located 22 NM to the west. It is a popular and picturesque mooring destination and a small fishing village with no cars. 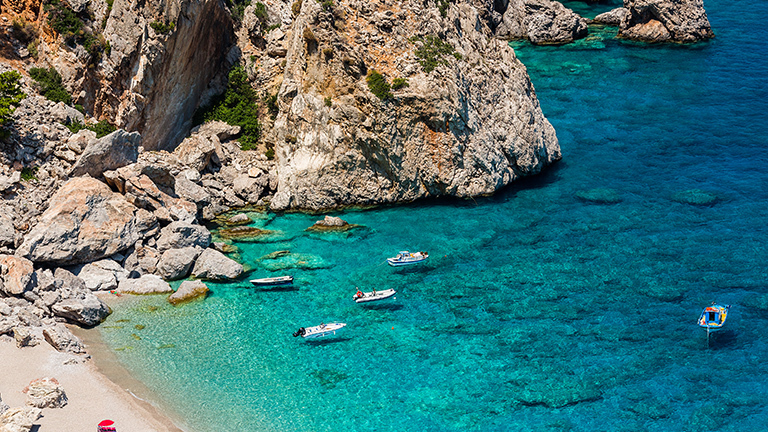 Relax on small sunny coves and swim in crystal-clear sea. Learn about local history in the Folklore Museum. Go hiking and see yards covered in flowers. Taste fresh fish and seafood in traditional taverns and have a refreshing drink in cafés that offer a nice view to the Aegean Sea. Go back to your starting destination Volos located 17 NM north. Volos is a lively city with a beautiful waterfront lined with shops, cafés, bars and restaurants that you will be amazed by when approaching it with your yacht. After check-out, go sightseeing numerous mansions, industrial facilities, museum and churches that create spendid architecture. If you want to go to the beach, go further away from the port where the sea is cleaner. Relax by taking a walk in the large park of Agios Konstantinos. Try local cheese products, homemade pasta and fruit, and also a traditional drink tsipouro (pomace brandy). Interested in Sailing Holiday in Thessaly Region?